And Russian merchants who once fattened you with crab-meat simply disappear. In September 2007, Bellevue businessman Arkadi Gontmakher was imprisoned in Moscow and accused by the Russian government of involvement in a criminal ring that poached massive amounts of king crab from waters off the Kamchatka Peninsula. More than two years later, Gontmakher, an American citizen from Ukraine, has yet to be brought to trial in a case that has drawn international scrutiny. As a recent resident of Bellevue, that fair city (the largest metropolis between Seattle and Minneapolis!) on the shores of Lake Washington, I can testify both to the Russian influence in that fair clime, and the tremors this case continues to send through the rather affluent Russian community, on Seattle’s sprawling, trawling, and high-tech East Side. 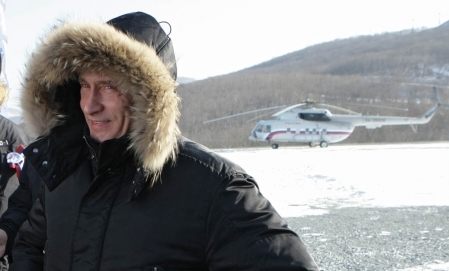 Meanwhile, while denying trial to the Bellevue crab-capitalist (reminiscent of his Gaszprom coup), Vladimir Putin hunts for oil and influence in the Russian Far East. The great Quebecois journalistic institution, Le Devoir, reports on the hunt via AFP (in French). If you want to better understand Russian ambition in its Far East, might I recommend two highly entertaining yet obscure little tomes? — The first is by B.L. Putnam Weale, the pseudonym of an intrepid fin-de-siecle Brit who traipsed all over northeast Asia, resulting in on-the-spot reportage from 1903 entitled Manchus and Muscovite (available here in full text). — The second is by the no less interesting and yet more recent work by the Canadian scholar David Schemmelpennick Van der Oye , an intense and living scholar at Brock University north of Toronto, entitled Toward the Rising Sun: Ideologies of Empire and the Path to War with Japan. Faces and technology change, but some themes recur: Russian interest in the sea, in reaching Korea, in containing Japan, in exploiting the tremendous mineral and natural wealth of the Far East (which is distinct from Siberia! )…Vladimir Putin reappears as Sergei Witte. And what of the North Korean loggers, or the Koryo Saram, dear Miguk saram? –Personification of futility! David Gregory, constant presence, certainly without equivalent paid scribe in the Soviet-era Orient, where would we be without your grave analysis, your “inside sources”, your serious demeanor, your hemmed pants, your chuckle, your seat at the table? I suppose we should have to listen to Juan Gonzalez talk about Puerto Rico on Amy Goodman’s Democracy Now, that’s where! And where would that get us, for, what, after all, does Puerto Rico have to do with a war…on Terror? And, to return to our crab-man, what does Terror on MSNBC have to do — with actual historical Terror? Such as the terror of civilians being bombed in the Finnish borderlands? or Stalin taking out his anger on the 10% in 1937? 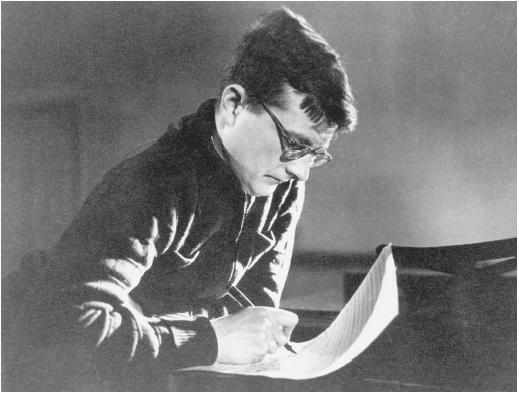 or Richard Taruskin’s flaying of that loveliest and most obsequious of composers, Dmitri Shostakovich?